The Exploratorium is a public learning laboratory and museum exploring the world through science, art, and human perception. 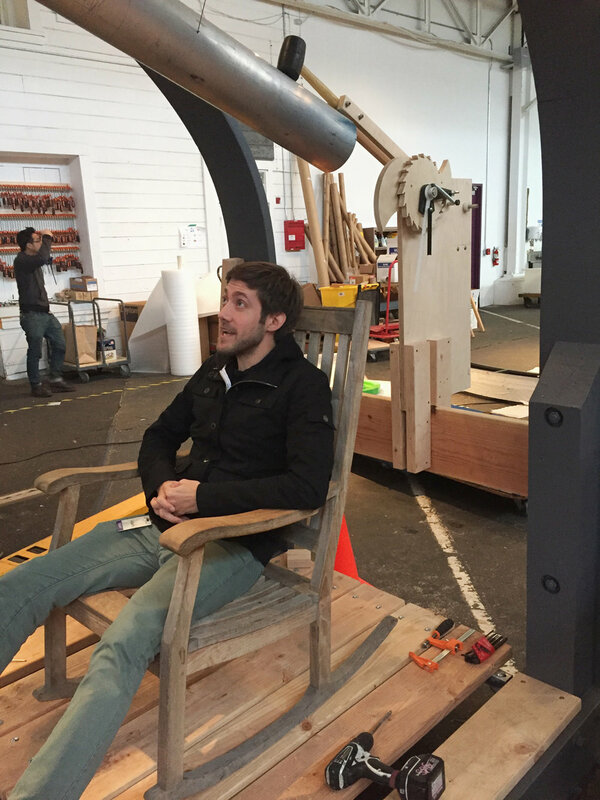 As part of the team at the Exploratorium's Studio for Public Spaces (SPS), I worked on the industrial design and prototyping for public installations. Because of the long development cycles for public works, most of my work remains under NDA, but I am able to show a completed project that is a good example of the type of work we did and the design process we used. While I was at the Exploratorium our collaborators/clients included Jewel Changi Airport (Singapore), Safdie Architects, Beijing Science Center, San Francisco Recreation and Park Department, San Francisco's Office of Planning, The City of San Leandro, and Facebook. For Chime Way, we were approached by the City of San Leandro, CA to design a mid-scale architectural project that supports social engagement and personal exploration through inquiry. 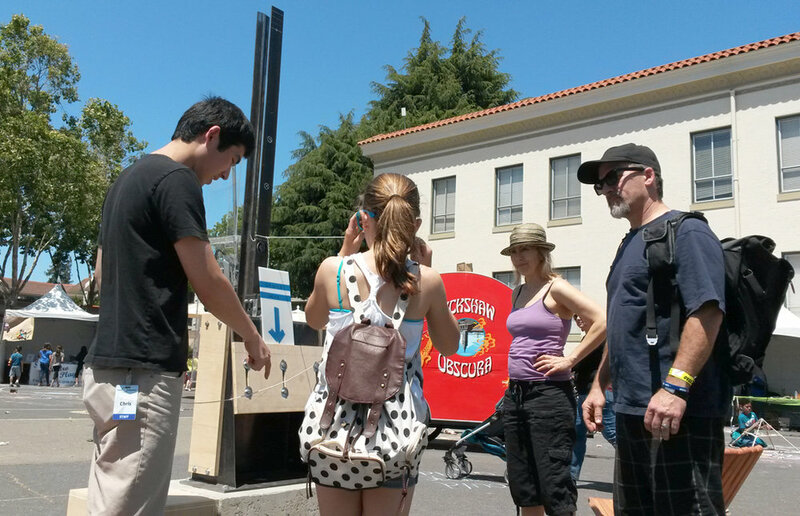 Part interactive art installation, part public amenity, Chime Way arches over a pathway through the plaza, creating a social and visual center. Because we needed to engage a large space with a mid-scale installation, we settled on using sound as our primary medium. 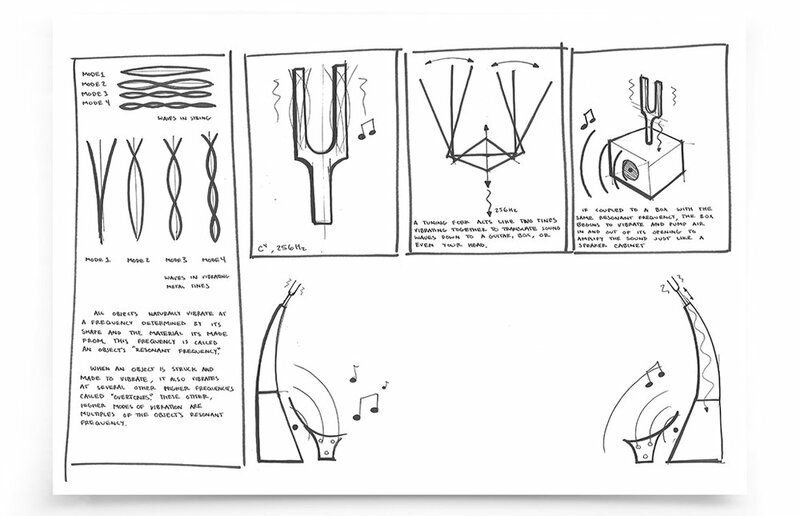 One of the main challenges of this project was finding a rich sonic phenomenon to be a focal point for creating a experimental, reflective, and participatory environment. Experimenting with various resonators, sound sources, and activation methods, we eventually honed in on using a large aluminum tube which vibrates well and acts as its own amplifier. The metal is robust enough to survive an outdoor environment, lends itself to long tones that are less distracting than percussive sounds like drums, and generates waves that can be felt in the body helping visitors experience the physical qualities of sound. One key feature that brought together seating and interface was the rocking chair. 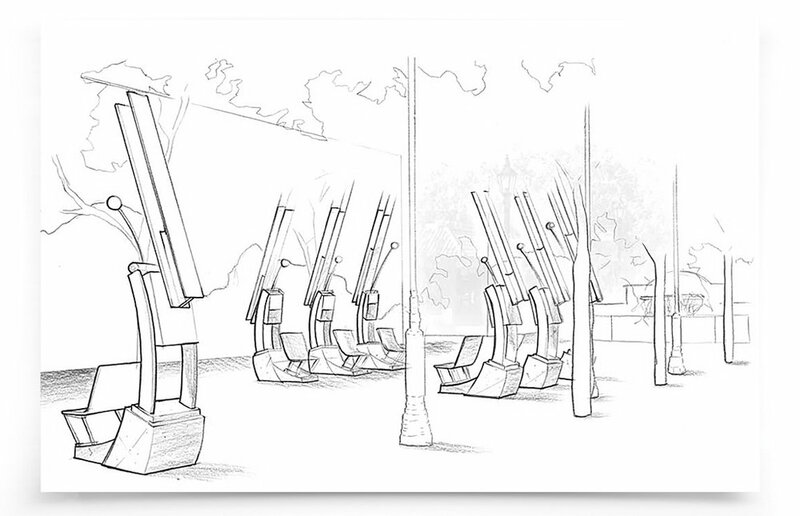 To make a smooth transition between sitting, watching, and participating, the chimes are activated by glider-style rocking chairs connected to geared mallets. The chimes are only struck once every several rocks making for a simple, satisfying action while keeping the chime sounds spaced so they don't become a cacophony.